Pension scams are where a third party offers to transfer your retirement fund into an arrangement that will make you money. Fraudsters are getting more sophisticated and widespread. Their offers may look attractive, but the truth is that you could lose your money or be hit with higher charges or an unexpected tax bill. 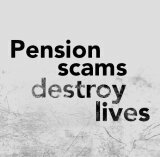 The Trustee of the Barclays Bank UK Retirement Fund, through its administrator, Willis Towers Watson, takes steps to help our pension scheme members avoid becoming victims of this fraud, but there are things that you should look out for to help yourself. The general rule is that you cannot access your pension pot until you reach 55. If it looks too good to be true - it probably is!